While we think that the idea of going off petroleum entirely would be good for the 99% as well as Mother Earth herself, we have been convinced that it wouldn’t be easy. After all, the light bulbs in your house are powered by generators that have to burn/combust something (like coal or oil or gas) to create a constant commotion because that’s how we get energy. And solar and wind are great, but our present fossil fuel based system would be really difficult to dismantle, and really expensive to change, don’t forget that etc…yada yada yada. Up until very recently, energy generation has been limited by our imagination. And the limits of that imagination has been shaped by our media and our schools, by engineers and scientists who provide the edges for us to work within, thank you very much. It’s hard to get past what they tell us is possible or practical and not become the object of ridicule. After all, once they imagine it for us, we follow along obediently, because we all like to sound like “we know what we’re talking about”. While wind and solar options have thankfully been entertained and accepted, in 2014 the vast majority of our world still remains under the thumb of fossil fuels and nuclear reactors. Perhaps until now. Introducing the QEG generator, the heartchild of a nonprofit called Fix the World. Plans to create the QEG have been openly released to the world via the internet in March of this year. (Plenty of links to let you know what this is and how it works at now can be found at the bottom of this article.) The QEG transforms high voltage pulses that already exist in the universe naturally, and steps them down to use for anything that requires electricity. 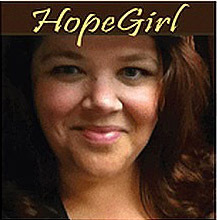 At the root of Fix The World is someone we call HopeGirl, a young woman who was foolish enough to think for herself and not depend on someone else’s imagination. She didn’t invent the QEG, but facilitated a team that created plans for it, tested it and then shared results with the world for free. It’s Tesla** technology with instructions! Don’t expect the QEG to become an overnight phenomenon or get top billing on the nightly news…yet. But if you know who Nikola Tesla was and if you know something about quantum science, the QEG would sound very natural and very possible. Many people around the planet actually do know who he is, except that they’ll never be on Jimmy Kimmel so you may not be talking about them as a result. After Tesla died, several scientists over many years have worked on related/similar type machines with great success (Tom Bearden/John Bedini, M.T. Keshe to name a few). They are forerunners of this work and have assisted the free energy movement worldwide. We owe a great deal of gratitude to them. This is not weird science after all, it’s just not mainstream science. These men, along with Nikola Tesla who died in 1943, risked ridicule or worse because of their scientific explorations but all that has changed now. Hosted by India Irie and Dave Stewart. Nikola Tesla The True Master of Inventions!